These next few posts are going to be relatively short as they are all beers that I received in a box from someone that I exchange beer with occasionally so I do not know a lot about the breweries. There were some very good beers included in the box so I wanted to put something up. 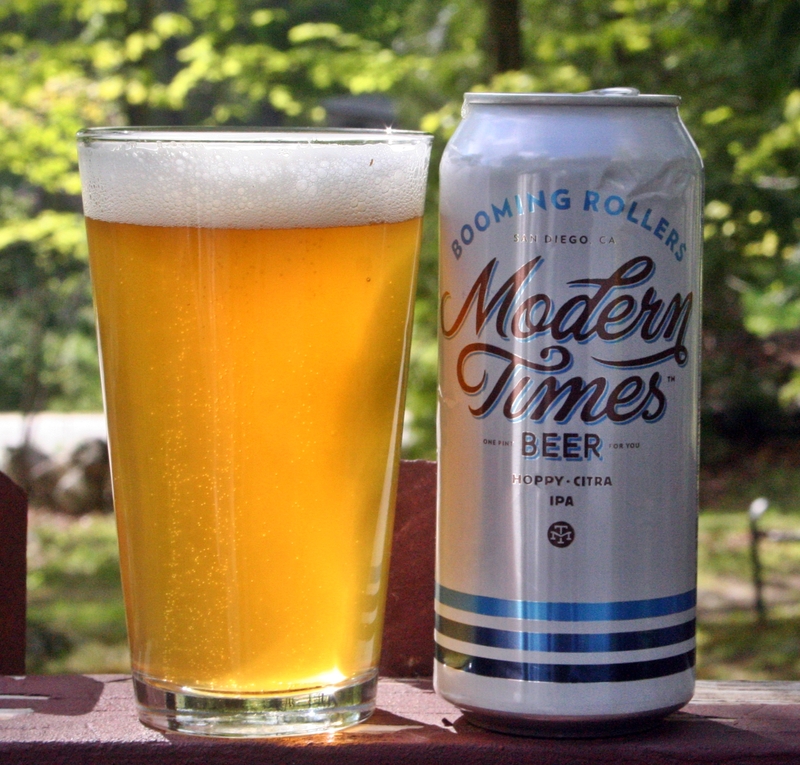 Modern Times is based in San Diego California and Blooming Rollers is their single IPA which comes in at 6.8% ABV. The beer is relatively light in color with a solid white head and a lot of lacing. Aroma was relatively mild with some citrus and tropical notes but overall underwhelming. Taste was excellent and really what saved this beer. Loads of citrus, tropical and lesser amounts of pine, floral and grassy hops. A lot of different hop flavors coming out of this one. Overall a very good beer and I am betting it would be even better if you had straight from the brewery. Brewers Description: Booming Rollers is a showcase for the juicy awesomeness of Citra hops. These new wave American hops impart a remarkable aroma and flavor, which we’ve amplified with the dark stone fruit character of New Zealand-grown Motueka hops. Some Centennial is thrown in to balance the tropical fruit party, and the malt body is just assertive enough to support Booming Rollers’ snappy bitterness. It’s a party in your mouth and all the beautiful people are invited. This was the final IPA included in my box from New Jersey and like the others it is probably not a fair review as I am not sure how old the bottle was. This beer should be right up my alley with an ABV of 8.5% and a nice mix of hops however it seemed to be lacking. Appearance is what I expect from a DIPA with a deep orange and thick off white head. 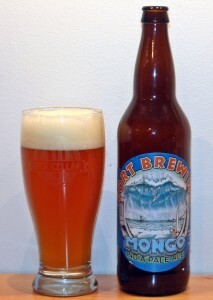 Aroma was more malt than hops with a nice sweetness and only a hint of spicy / floral hops. Taste followed with the addition of some pine. Overall a solid beer that may have suffered due to age but I prefer the citrus / tropical hops to the floral / pepper / spice. Brewers Description: A tribute beer brewed to honor the memory of our fallen soldier Columbus (nicknamed Mongo) who used each of his 9 lives in his short (but brazen) ten months on this planet. Mongo begins with a massive resinous aroma created by the judicious use of Columbus, Amarillo and Cascade hops. 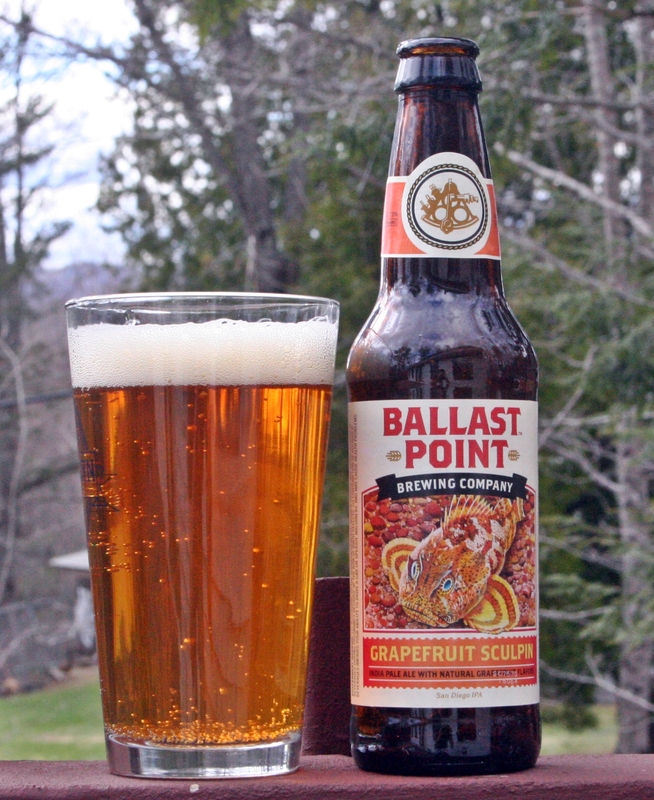 The initial taste reveals notes of Orange, Mango and citrus fruits with a piney bitterness and hoppy spice with some mild malt flavors on the finish. Continuing to make my way through the Sierra Nevada Beer Camp 12-pack. Over the past few months the 12-pack has been go to when I don’t have a growler or a fresh IPA/pale ale to go to, however that does not happen very often. I may finally finish them off later this week. Tater Ridge is collaboration with Asheville Brewers Alliance and the bottle description states “Scottish Ale brewed with Sweet Potatoes”, which sounds interesting. It pours a very deep reddish brown with an off white head. Aroma is sweet with no discernible hop character (not that I was expecting any from a Scottish Ale). Taste is interesting with a sweet dark fruit (or maybe vegetable). This beer continues to develop as it warms. Another decent beer from this 12-pack but still not that exciting. Brewers Description: The Asheville area is a brewing hotspot nestled in the mountains of North Carolina. 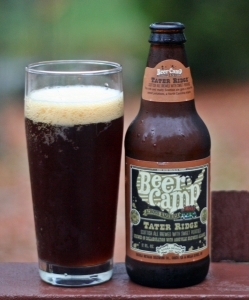 Tater Ridge was brewed by something of a craft beer super group made up of members of the Asheville Brewers Alliance. We’re fortunate to call these passionate and talented brewers our neighbors, and we hope this unique ale will be the first of many collaborations to come. We’ve made plenty of new friends in the nearly 30-strong Asheville Brewers Alliance (ABA) since we started brewing in North Carolina. Two of whom—John Stuart of Green Man Brewery and Luke Dickinson of Wicked Weed Brewing—led this collaboration recipe and work tirelessly to bring creativity and a deep-seated love of locally made craft beer to the Appalachian Mountains. This is my favorite beer so far from the Beer Camp 12-pack. An India Pale Lager from Sierra Nevada and Ballast Point, both of California. Electric Ray pours a nice clear orange with a single finger white head. Aroma is mild but pleasant with some citrus hops and a light sweetness. Taste pretty much follows the nose with some pine thrown in and a nice bitterness in the finish. So far this is the only beer from the 12-pack that I would buy again. Brewers Description: As ever, San Diego’s Ballast Point looked to the sea for the inspiration behind Electric Ray. A play on the fish’s scientific name—Torpedo californica—this beer pays homage to our mutual home state, as well as to our Hop Torpedo, the source of much of the big flavor in this high voltage, hop-forward Imperial Pale Lager. I may be the only one left that is still chipping away at the Sierra Nevada Beer Camp 12-pack. I got my 12-pack later than most and had already heard from many that the beer was lackluster at best. This one is a collaboration between Sierra Nevada and Oskar Blues from Colorado. CANfusion pours a deep copper color with a thick off white head. Aroma is a mix of caramel and rye, not very pungent. Taste has some peppery spice, lots of sweet malts and a bit of citrus. 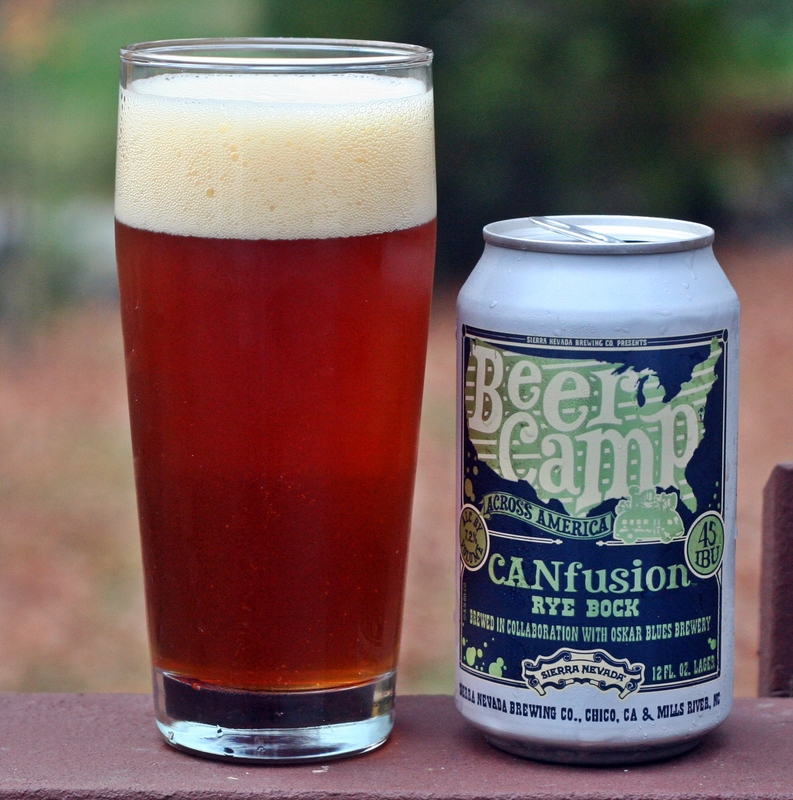 Another OK beer from Beer Camp 12-pack. Have a few more in the fridge that I will get to in the coming weeks. Brewers Description: Our friends at Oskar Blues pioneered great beer in a can and, as mutual members of the canned craft club, this partnership was a perfect fit. CANfusion is a coming together—a fusion, if you will—of flavors from across the spectrum of brewing: spicy rye, tangy wheat and a bright citrusy hop aroma. Oskar Blues is the granddaddy of canned craft beer. Like us, they have a fun-loving passion for the outdoors and bikes. It was a natural fit for them to adopt cans as a portable, durable way to tote their favorite beer on the trail, and in the process they paved the way for all other craft brewers to follow. 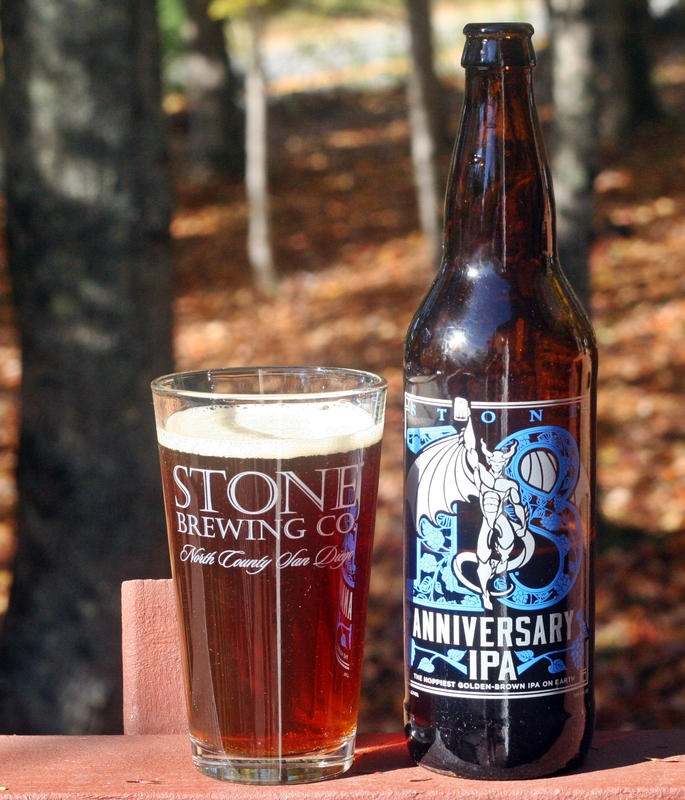 This is my fourth Stone Brewing Anniversary review; 14th, 16th, 17th somehow I missed 15. 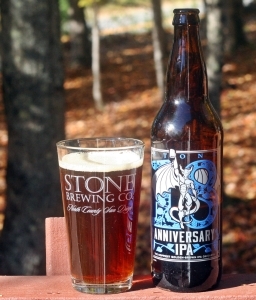 Not sure if their Anniversary ales are always IPAs but the 4 that I have reviewed all are. This one is described by Stone as a “golden brown IPA”. Not sure how something is golden and brown but this beer is an interesting color with a deep amber and thin white head. An interesting beer but not something I am interested in drinking again. Brewers Description: As we compose the text for this celebratory beer‐a golden‐brown India pale ale dry-hopped exclusively and abundantly with El Dorado hops‐we stand ready to leap from the precipice of all we know into a new era for our company, our beers and, most importantly, our fans. It’s one that will see us exploring new territory, both geographically and creatively, as we evolve from pacesetters for the American craft brewing movement to cross‐planetary champions of the worldwide cause of craft, hoisting our banner to proclaim artisanal beers’ vast superiority over stripped‐down, business-driven, industrialized, fizzy, yellow mediocrity. We thank you for shadowing us for the first 18 years of our journey, and welcome you to join us for next leg and all that follows. 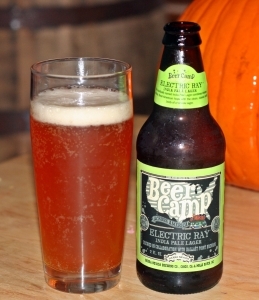 My third beer from the Sierra Nevada Beer Camp twelve pack and its another sold beer but still nothing spectacular. This one is brewed with Firestone Walker another California brewery. From what I have heard their Pivo Pils is one of the best available but the Torpedo Pilsner doesn’t compare. It looks like a pilsner should with a nice gold color and a thin white head. Aroma is slightly spicy and earthy with a bit of yeast. Overall a nice start and the taste continues with a solid floral, lemon hop profile and a nice clean finish. I’m not sure what this one is missing but I would prefer Pepperell Pils to this one which is probably a good thing since I can get Banded Horn’s beer easily and this one may never be produced again. Three beers in and I have enjoyed each one but there has not been one that I would want to drink again. Brewers Description: Torpedo Pilsner ditches the traditional German “noble” hops and heads south of the equator for inspiration. With a traditional golden malt body, this “kiwi” pils features intense fruity and floral New Zealand-grown Motueka and Southern Cross hops, making this an alternate and delicious take on the classic pilsner. Russian River makes some great beer including some of the most sought after IPAs and sours; Pliny the Younger, Pliny the Elder, Blind Pig, Supplication, the list goes on and on. Because of this list I was a bit disappointed when I saw the beer included in the Sierra Nevada twelve pack was a Belgian Blonde. Pale gold with almost no head. Aroma has plenty of yeast, clove and a bit of lemon. 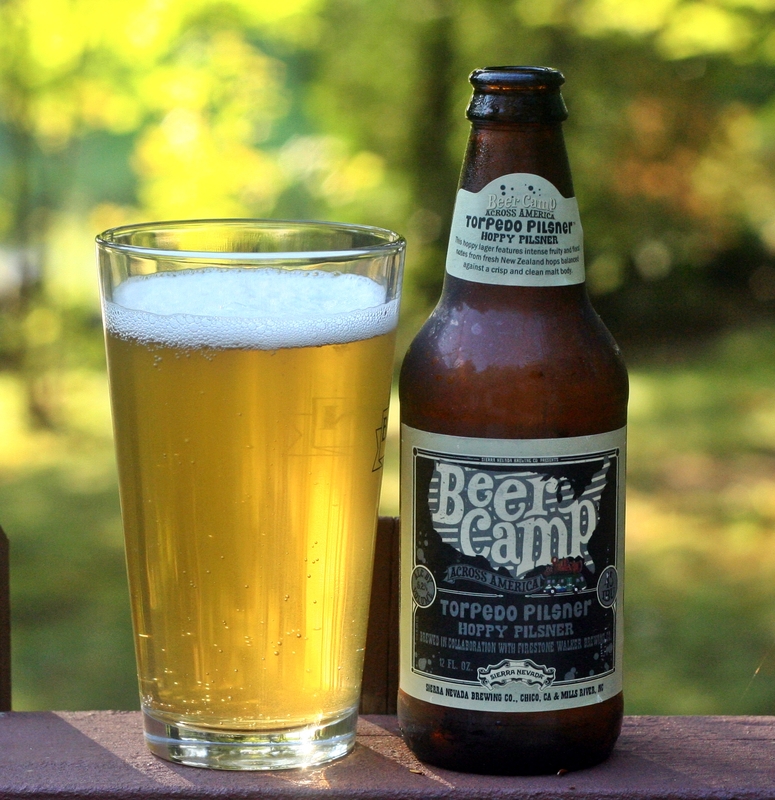 Taste is the best part of this beer with a strong Belgian start and a slightly hoppy lemon finish. Well carbonated very clean finish make this one super easy to drink. Similar to the last beer I was glad to have tried it but not sure I would want to drink it again. Brewers Description: This genre-bending beer has the bright, resinous hop profile of an American IPA blended with the dry and complex yeast character of a Belgian farmhouse ale. Yvan the Great is a perfect combination of the two brewing styles—hoppy, dry, spicy, and impressive. 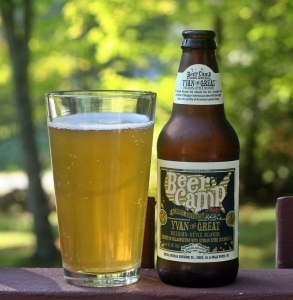 I am a little late getting to the Beer Camp 12-pack from Sierra Nevada. I purchased it when it was released and stuck it in the fridge at work until last week when I finally had the time to open it. The 12-pack includes 12 different beers that were brewed at Sierra Nevada’s facility in Chico, The list of breweries involved is a who’s who of craft beer across America. 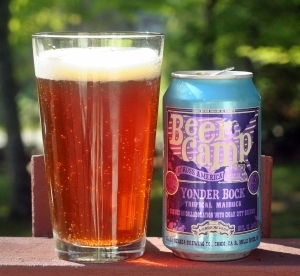 My first beer is the Yonder Bock from Sierra Nevada and Cigar City. The can describes this as a tropical maibock which sounded very interesting. An aggressive pour leaves a nice copper colored beer with a single finger off white head. Aroma is mostly malt with some hints of fruit. Nothing too crazy happening in either the appearance or aroma. Taste improves on this a little with a well balanced mix of those sweet malts in the beginning with a subtle tropical fruit finish. A solid beer but honestly glad there was only one included as I doubt I would seek this beer out again. Brewers Description: Yonder Bock is a summery twist on the robust blonde bock. Its silky, semi-sweet malt body is bolstered by a blend of new and experimental hops that impart bright, fruity hop aromas of guava, mango and passion fruit.